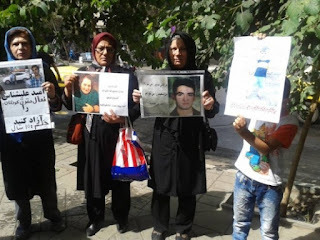 Regime In An Organized Attack On The Home Of Human Rights Activists In The City Of Andimeshk ,Arrested Several of Them …. According to news from HRANA , Last week on Wednesday Regimes security forces in the city of Andimeshk have attacked on the home of several human rights , labor rights activist of the city and arrested them . According to Shahpour Reshno's wife , On wednesday ( Last week) early in the morning between 1-2 am around 10 - 15 people entered in our home and searched the house , took whatever they could including book, cd's and…..and told us not to make noise , to cooperate and then took my husband Shahpour Reshno with them and up to now no one told us where he is …. Similar attack happened on other human rights and labor rights activists in the city of Andimeshk. Up until now no one knows about the reason behind this attacks in the city of Andimeshk…. 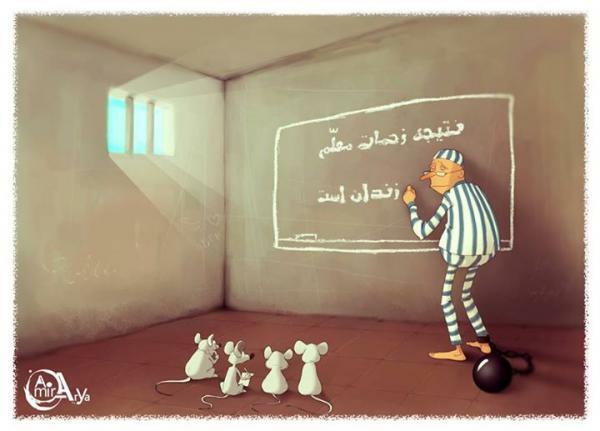 Several Iranian Teachers Are Still In Prison ………. 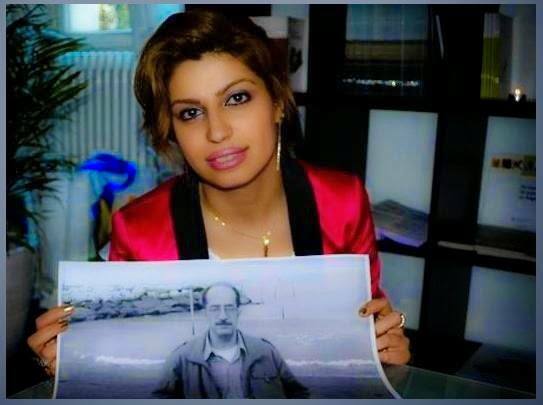 Lets Not To Forget Them ……..Bahai Leaders Spent 7 Years Out Of 20 Years Imprisonment Sentence ! Why they must spend 20 years in prison just for their Faith and belief / religion ? …….We are talking about 20 years of life in a prison cell !!? ?……… and the president of this regime attends in UN and talks about helping to bring democracy in Syria and Yemen ….!!!!???? or speaking about defending the rights of minorities from the ruling majority…..!!!??? The world is becoming more dangerous than ever if UN keep silence to all these injustices in the world. 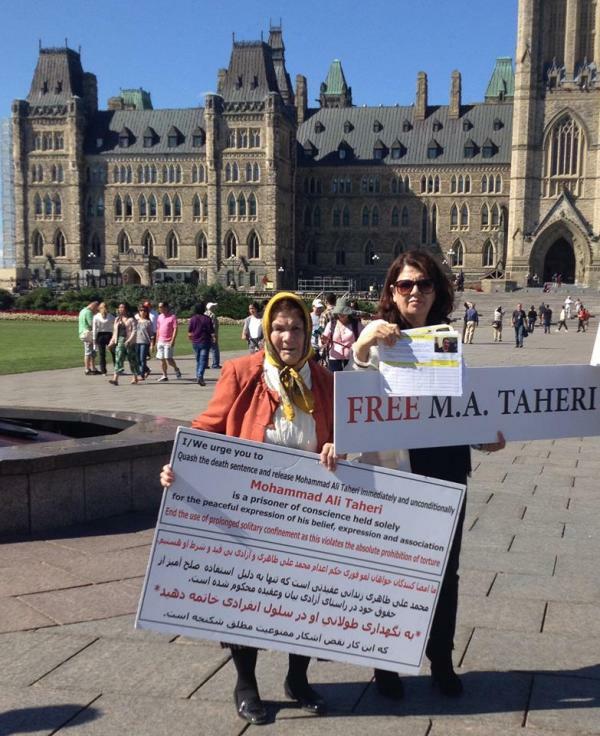 At The Time of World Meeting In UN ,Mohammad Ali Taheri's Mom And Followers in Canada and New York Calling for His Freedom ! 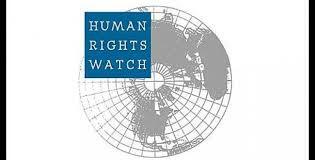 (Beirut, September 23, 2015) – The Iranian authorities should immediately release seven teachers apparently detained for peaceful union activities, Human Rights Watch said today. By stepping up the arrests and sentencing of outspoken teachers in the weeks prior to the start of the school year on September 23, 2015, the authorities appear to be sending a message to other educators not to speak out about their concerns. Since April 2015, security forces have detained five prominent members of Iran’s Teachers’ Association, as well as the secretary general of the Teachers Organization of Iran. Authorities have brought new charges against another educator who had recently completed a six-year sentence in connection with his union activities. In all of the cases, the authorities have cited “security concerns” to justify the detentions. Sources knowledgeable about the arrests told Human Rights Watch that the educators had been detained for their activities on behalf of students’ and teachers’ rights. Two of the sources who are active with teachers’ groups shared their own experiences of being called in by authorities to answer for their union activities. In May 2015, authorities summoned Ali Akbar Baghani to serve a suspended six-year sentence issued in 2006. A Teachers’ Association member told Human Rights Watch that the authorities provided no information about why the sentence was being carried out at this time. Baghani is in Gohardasht prison, outside of Tehran. On June 27, 2015, authorities at Branch Two of Evin Court detained Esmail Abdi, the secretary general of the Teachers’ Association, when he went to the court to ask why authorities had prevented him from traveling to Armenia the previous week. A source close to his case told Human Rights Watch that the court authorities told him he was being detained to answer questions about his union activities. 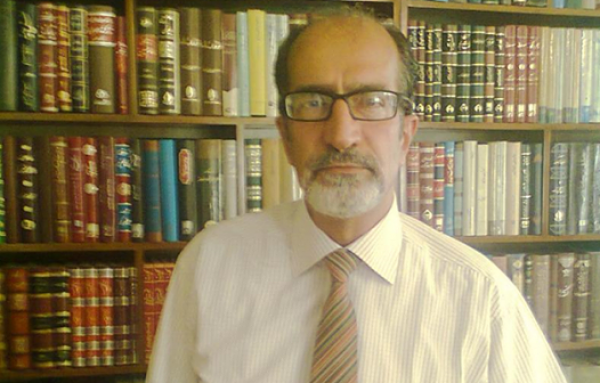 He is accused of engaging in “propaganda against the Islamic Republic,” under article 500 of the penal code, and conspiring “against the national or foreign security of the country,” under article 610. Reports published on the Teachers’ Association’s website said that authorities with orders from Branch Two of Evin Court detained Mohammad Reza Niknejad, an active union member, and Mehdi Behloli, a previous member of the association’s governing board, on August 31, 2015. 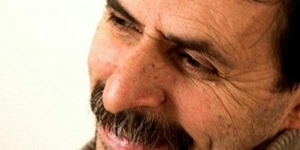 Another member told Human Rights Watch that security forces confiscated Niknejad’s computer and mobile phone and accused him of having contact with foreign organizations and the foreign press. The source told Human Rights Watch Behloli and Niknejad are being held in Wards 7 and 8 of Evin prison, units housing prisoners for petty financial crimes. Niknejad and Behloli had spoken with Education Minister Ali Asghar Fani about problems teachers face shortly before their arrests, the source and the Teachers’ Association website said. On September 6, security forces with a warrant dated July 27 from Branch Two of Evin Court searched the Tehran home of Mahmoud Beheshti, the Teachers’ Association spokesman, and took him into custody. The day before his arrest, Beheshti had participated in a meeting between the association and Vice President Mohammad Baqer Nowbakht, during which he also had spoken about the problems teachers face. 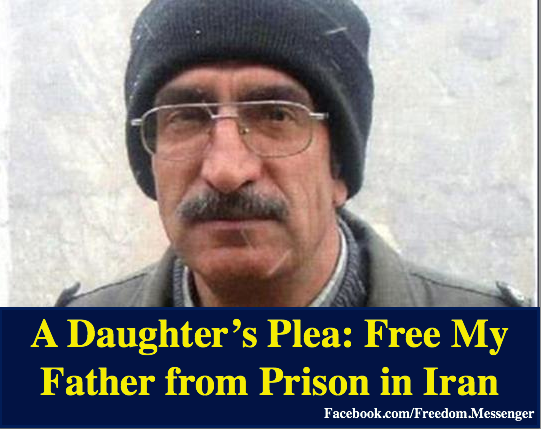 In an interview published by the website of the Teachers’ Association, Peyman Attar, the attorney for Rasoul Bodaghi, said that his client should have been released after the completion of his sentence on August 4. 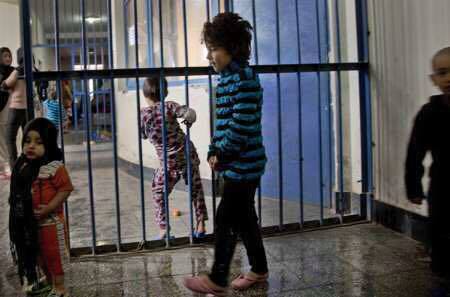 Instead, authorities transferred Bodaghi from Rajaii Shahr prison to Cell Block Aleph of Evin prison, which is run by the Iranian Revolutionary Guard Corps (IRGC). 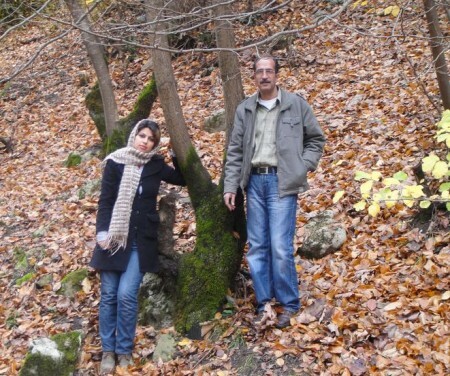 Two members of the Teachers’ Association told Human Rights Watch that Branch 28 of the Revolutionary Court in Tehran sentenced Bodaghi to a new three-year term. 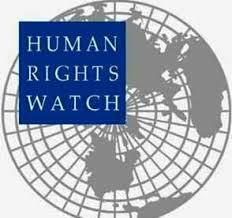 (Washington, DC, September 20, 2015) – Iraqi government-backed militias carried out widespread destruction of homes and shops around the city of Tikrit in March and April 2015 in violation of the laws of war, Human Rights Watch said in a report released today. Militiamen deliberately destroyed several hundred civilian buildings with no apparent military reason after the withdrawal of the extremist armed group Islamic State, also known as ISIS, from the area. In Iran The Security Forces Have The Upper Hand ………Hassan Rohani's Government Is Another " Good For Nothing" ….. The reason for this is because, those who rule Iran does not believe at all in human rights as adopted by UN and other nations in the world. And "Islamic human rights" is nothing but another game to play and therefore the real human rights to delay …. 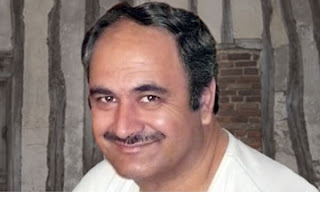 A while back, the Islamic Republic regime and its Judiciary sentenced me to four years in prison under the false charges of Acts against national security, insulting the supreme leader, and blasphemy; while my only crime was publicizing my opinions and views on the issues and problems of Iran in virtual space. During this time, due to tortures and months of solitary confinement in jails of Islamic Republic’s ministry of intelligence, and the mental pressure and hardship that I went through during those years in prison, I developed heart problems. Over time, suffering those terrible conditions, I also developed diabetes, kidney, prostate, sciatic, and lumbar problems. In 2012 I suffered a heart attack, and after examinations, the doctors recommended that I should be release from prison since I am in terrible health; but the Islamic Republic Judiciary ignored their opinion. Therefore I was released after I finished my sentence in 2014. But only 38 days after my release, the Ministry of Intelligence arrested and framed me again. They charged me with propaganda against the regime in a mock trial, and sentenced me to one year in prison and two years banishment to Tabas town and confiscation of property. Now that I’m reaching the final days of my prison sentence, it is clear to me that I will not be able to endure banishment in one of the harshest environments in the middle of Kavir desert in Iran, and I seriously fear for my life. Therefor I ask these respected figures and organizations and also my countrymen to inform the public about my health conditions and the injustice that I have suffered, and to voice their objections to Islamic Republic, so that it might prevent my banishment. Mohammad Reza Shajaripour (Siamack Mehr) Writer of “Reports to Iranian soil” blog. 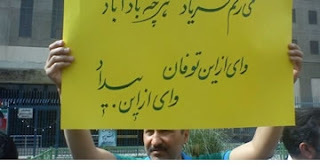 مراسم خاکسپاری شاهرخ زمانی در تبریز Iranian Workers together with Family and Friends bury Shahrokh Zamani the Imprisoned workers Rights Advocate who have died in Regime Prison …. Mostafa Azizi is Not forgotten ……..He Deserve His Freedom Now ……. lets gather on Mostafa Azizi's birthday to wish him his deserved freedom and remind him that he is not forgotten in our community. Parastoo Azizi Dear Jim thank you for following the news on my dad it means alot to us. His apeall court date has been released and it happen to be on his birthday !!! 20th september 10 am tehran time, he will attend his apeall court in person with Mr. Poor Arab being the judge. Translation of my status :" instead of blowing the candles and cutting the cake, my dad has to dress in prison cloths and attend his appeall court... what a birthday..."
According to a report from HRANA on Sunday Shahrokh Zamani the imprisoned leading worker activist after five years imprisonment died in Rejaei Shahr prison in Karaj City and the prison official announced the cause of death as brain haemorrhage …. the news indicate that,his death happened between morning and lunch time on Sunday… This is what the prison clinic announced. There is no news about when the family is going to receive the body from prison. 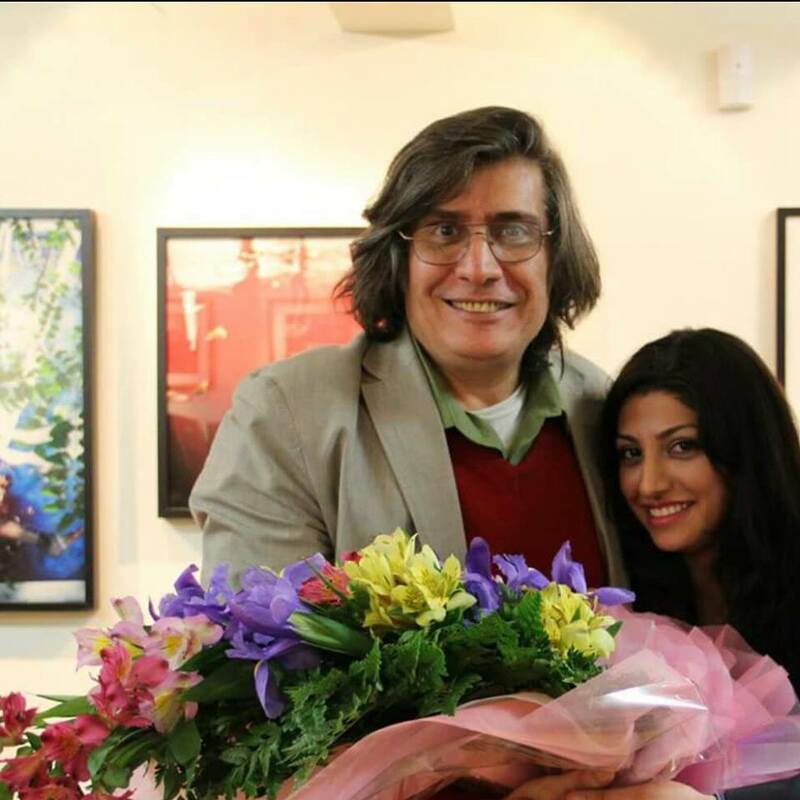 The judiciary and prison official last year did not allow Shahrokh Zamani to attend in his daughters wedding and on last February they did not allow him to attend in his mom's funeral . 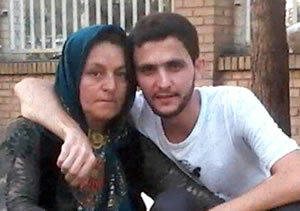 Shahrokh Zamani suffered years of imprisonment , including solitary confinement , hunger strike , physical and mental torture and finally died in Islamic regime's prison . A Political Prisoners Letter : Mr. Ahmed Shaheed , I Wish To Die ……..
Afshin Sohrabzadeh a 24 years old Kurdish political prisoner who suffers from intestinal cancer sent a letter from Minab prison to doctor Ahmed Shaheed ( the UN reporter on human rights in Iran) , he wrote: Mr. Ahmed Shaheed , i wish to die…….. I am certain you don't know me , i hope you receive this letter and know that , as a 24 year old young man , i was sentenced for five minutes in a court to 25 years imprisonment and right now i suffer from cancer and i am in Minab prison. In June …2010 i was arrested by security forces of Kamiyaran city and was sentenced by the court of revolution- division # 2 in the city of Sanandaj to 25 years imprisonment and internal exile to Minab prison. regimes judiciary charged me with " membership to kumeleh party and " Maharebeh "( Fighting with regime) . As far as i know, i was healthy prior coming into the prison, i was tortured and my nose was broken and the hernia was raptured by the torturers. 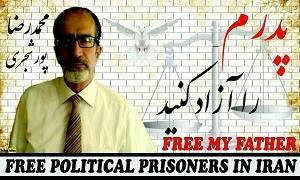 Mr. Shaheed if i will write about what had happened on me in prison , i have to publish a book about it , but my problem right now is the sikness that i suffer which is cancer and it will end up with death. where there is no cure for it in Iran….. 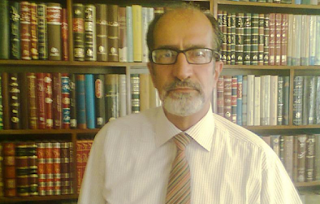 Nothing has left from me, except skin and bones…..every day the judiciary officials send my aged mother from Kamiyaran public prosecutor office to Sanandaj and then to Minab all for agreeing to my mother request for my treatment….. I will say it simpler ….i wish to die ….its 5 years that i suffer…… I don't want you will do something for me , but i pity for my mom who also suffer what i suffer and no one listens to her…..
and now for the sake of my mother …..and in order you to show that you do not discriminate about the rights of Kurdish , do something for me. 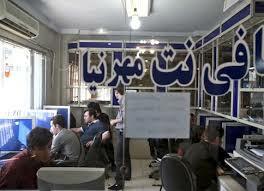 70 % of Iranian Don't Watch Islamic Regimes TV Stations…….. 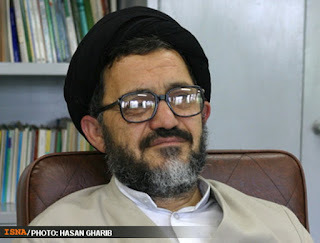 According to a report by ISNA news agency , clergy Akrami the cultural advisor to president Hasan Rohani said: 70% of Iranian don't watch the Islamic Regimes Television known as " Seda va Sima" and instead they watch the " Mahvareh Televisions" ( the satellite TV stations) . According to him , today disorder rules the society . Mohammad Ali Taheri Founder Of " Erfane Halgheh " ( Circle of Mysticism) Is on Hunger Strike Since August 13….. According to news coming from Iran Mohammad Ali Taheri the founder of " Erfane Halgheh " ( Circle of Mysticism ) is on hunger strike since August 13 and his health condition is deteriorating since then . He went on hunger strike because regime judiciary sentenced him to death for the creation of his philosophical ideas . He is been in prison since five years ago and spent most of the time in solitary confinement ( Bande Doe Alef- Ward 2 A ) in Evin prison. He believe the regime judiciary must let him know about the sentencing and give enough time to his lawyer Mr. Alizadeh Tabatabaei to prepare his defence case and defend him . The judge who sentenced him to death is Mashaullah Ahmadzadeh . 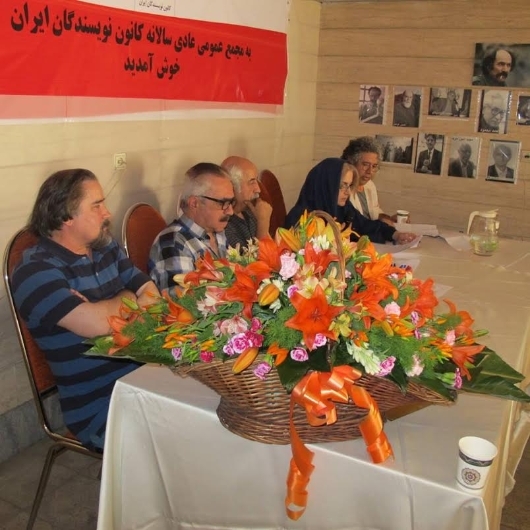 Despite of all the pressure , harassment , threats and long time prison ,Iranian writers recently came together in a garage of the house of a member to nominate and elect their associations president and executives. 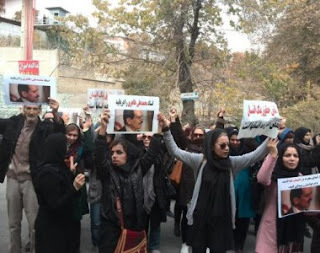 This is happening while Hassan Rohani after more than two years as president still closes his eyes on violations of human rights , Freedom of Expressions and censorship….. According to a report by IRNA the Tehran chief of police today reported that 272 cafe net have been close because of violation to cafe net policy imposed by Islamic regime and also 847 other received warning . According to commander Sajedi these cafe nets violated the cafe net regulations and also for what he called " social violations " ….. According to him in just five months police forces have attended 5,280 times at cafe nets to observe their activities. 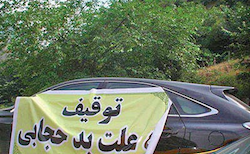 Islamic Regime In A continues Plan Removes Cars From the Roads If The Occupants Don't Follow The Hijab ….. It is in the news again that Islamic regime in a continues plan removes the cars of those occupant without proper hijab from the roads. Time and time regime does execute this plans to control the hijab and to prevent what they call western culture into Islamic societies. People have the right to dress whatever they like …..This is the basic human rights, …….but regime imposes its policy even on the way the people must dress and it will fail …….. 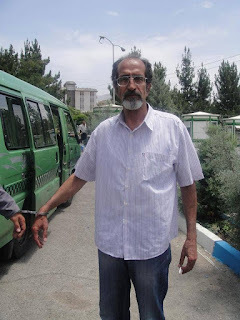 According to news in continuation of assault on the Iran's Teachers Union, regime's security forces have arrested Mahmoud Beheshti Langroudi a senior leader and board member of Iran's Teachers Union on Sunday at his home and since then no one has any information on his whereabout . The security forces then searched the house and took his personal items . It is needed to say that, yesterday in a meeting between Mr. Nobakht the president envoy and Iran teachers union , Mr. Mahmoud Beheshti Langroudi did make a report about the problems of Iranian teachers ……..
regime's security forces earlier ( end of August ) have arrested tow other members of Iran Teachers Union Mr. Mohammad Reza Niknejad and Mr. Mehdi Bohloli …. Mr. Ali Akbar Baghani, Rasoul Bedaghi and Esmail Abdi ……. Families Of Political Prisoners Protested In Front Of The Court Of Revolution Against The Judiciary Powers Sentencing.. …. According to HRANA on Tuesday , Said Zainali's ( Was disappeared during students rally in university 16 years ago) mother together with the mother of two other human rights activists Omid Ali-Shenas ( Children rights activist) and Atena Daemi with placards in hands staged a protest in front of the court of revolution against the judiciary powers sentencing on their loved one case. In this protest a member of the family who believe a clergy has confiscated their land and properties including their factory . 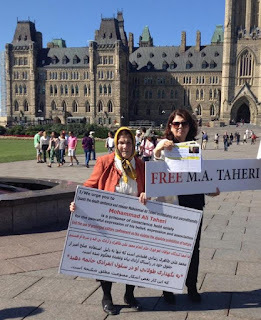 protest against regime is increasing every day , including teachers protest, labor protest , political prisoners families protest , protest of nurses and ………..
IRAN WATCH CANADA calls for Mr. Mohammad Reza Pourshajari's release. 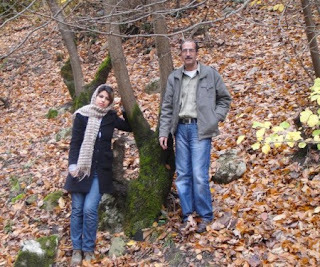 A Daughter's Plea For Father's Release From Prison,……………..
Mohammad Reza Pourshajari : Regime has decided to kill me , help me …..
Mohammad Reza Pourshajari is a blogger and a defender of Freedom of Expression , he is been in prison since 2009 and he is charged with propagating against the regime. His prison term will end in October and regime is trying to send him to an internal exile in the city of Tabas , where Mr. Shajari believe the regime is trying to kill him without anyone know what happened . Mr. Mohammad Reza Pourshajari was the writer of a weblog known as : "Gozaresh Be Khak Iran " ( Report To Iran ) with pen name as Siamak Mehr ……. Mr. Pourshajari has suffered heart attack in the past and he said in his letter that, regime is deliberately sending him to exile in Tabas where the weather is too hot and not good for a heart patient with multiple other physical problems. Mitra Pourshajari reads her fathers letter with tears and continuously call for her fathers release.